This is a fabulous post, Jenn. I'm so glad to see it here to spread the knowledge of the St. Joseph Altar celebration. 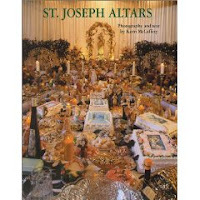 We are having our first large group St. Joseph Altar tomorrow with our homeschool group. I'm so looking forward to it. Yes, this is a wonderful post Jenn! Thank you for taking the time to post, and I hope everyone is feeling better soon!! One of my boys has been working on making the 3D cut and color St. Joseph Altar you linked to. It is WONDERFUL!! My name is Monica I am a part of a wonderful Catholic community. Our ministry of Divine Office has a mission to gather assets beneficial to our community in praying the Liturgy of the Hours. Your blog is a delight, I admire your dedication and all the work you put in your articles. I hope more people will find they're way to your blog. Your altar is just gorgeous. What a beautiful tribute to this great saint. I will plan farther ahead next year and make our altar bigger than ever! Oh, thank you, Barbara, but I can't take credit. It's my sister's Altar. She's amazing. This is such a fantastic post, thank you! I'm having to star it to link for later so I can re-read it and read all the links! We had my parents and three other families over to celebrate the Feast of St. Joseph with us. While my mother is from northern Italy and didn't really celebrate in this manner, we have since adopted the custom. While we didn't make a three-tiered altar, we did decorate three tables. We had fava bean gift bags . . .
sawdust sprinkled on the pasta . . . 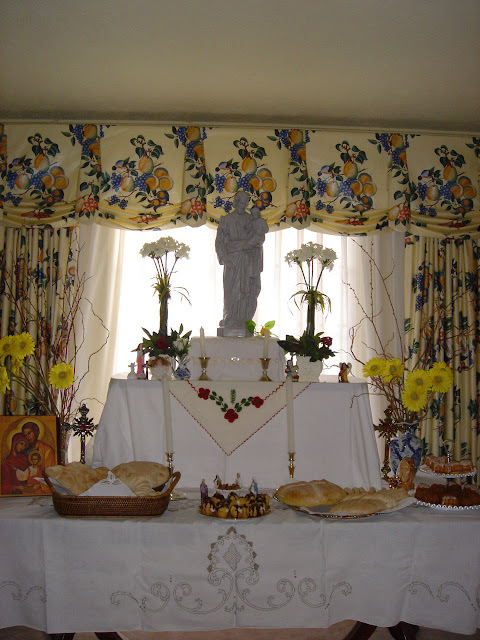 I appreciate all your ideas, especially the 3-D altar for St. Joseph. We did it last year and are looking forward to it this year also. I thought St. Joseph Altars were only indigenous to New Orleans. Do any of the altars mentioned distribute fava beans or "lucky beans" to visitors to the altar? The legend goes if you carry a fava bean or "lucky bean" in your pocket or purse you will never be without money, and the pantry with a fava bean in it will never be bare. These ideas are so helpful. Thank you! 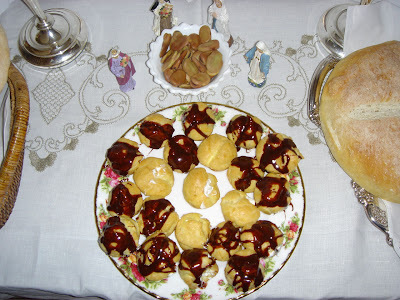 We used some and also shared a link to this forward when sharing about our own St Joseph Table at http://traininghappyhearts.blogspot.com/2017/03/enjoy-st-joseph-table-with-friends.html Thank you, again, and have a blessed St. Joseph's day!